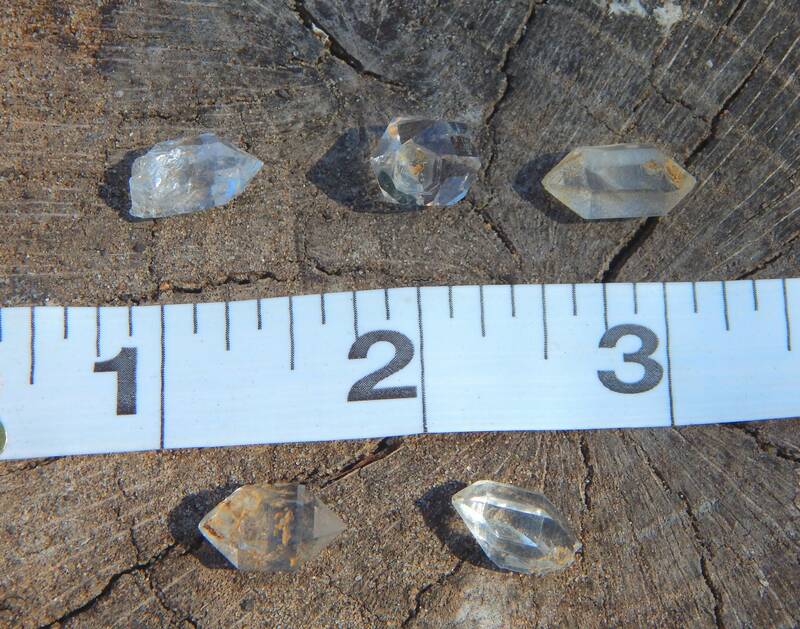 One Double or single terminated point, genuine water clear Herkimer 'Diamond' Quartz from Herkimer County New York. Excellent for reiki applications and for crafting or wire wrap. You will receive one per order, intuitively chosen by the seller. .4-.8 inch in size, size and shape will vary as these are natural stones perfected by the Earth. 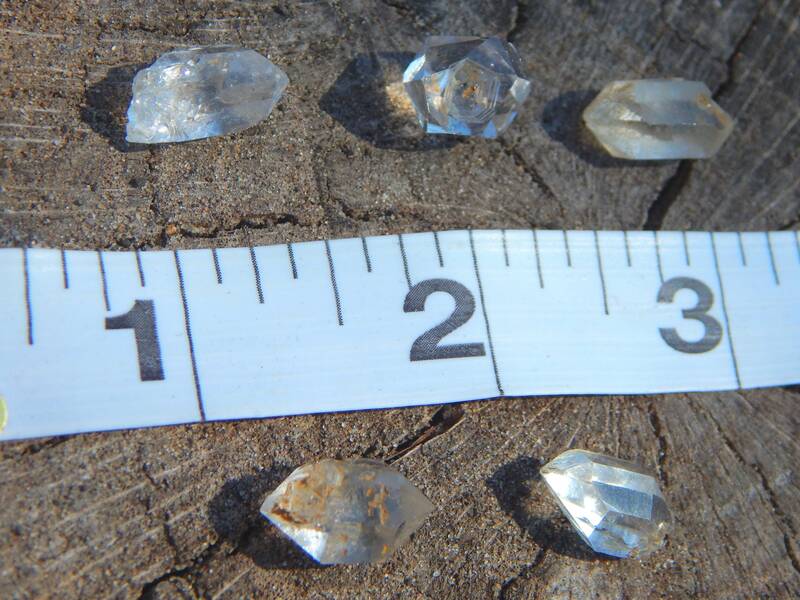 Herkimer Diamonds are the most powerful of all Quartz crystals. When doubly terminated, they have the ability to not only transmit their own energies, but to receive spiritual energy and to amplify and focus it intently. They are reported to be harder than all other Quartz, giving them the strength and durability to handle difficult challenges beyond the scope of other Quartz crystals. What they lack in physical size, they more than make up for in spirit energy. 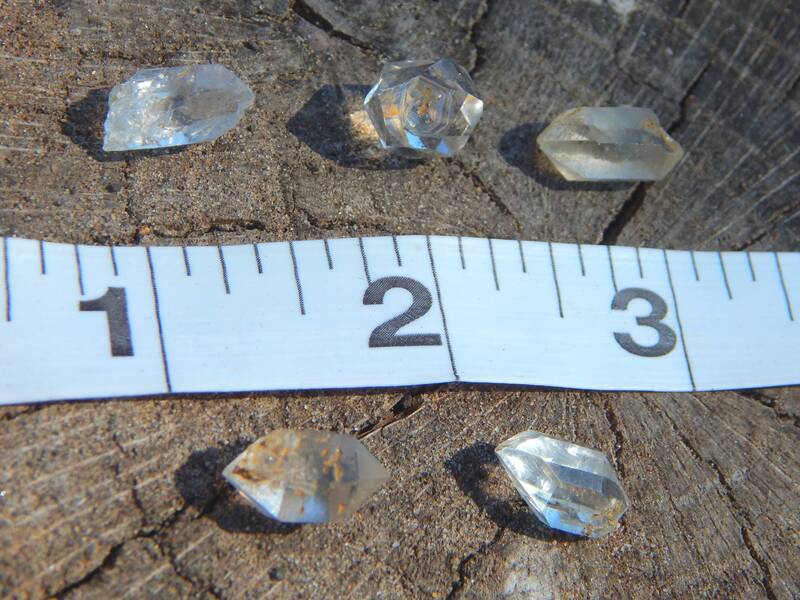 he Herkimer Diamond is an "attunement stone," useful for attuning to another person, group or environment. It is particularly beneficial to use before the "laying-on-of-stones," or other healing situations when the practitioner and subject are not well acquainted, and is an exceptional crystal for linking people together who have to be apart. For attunement, the Herkimers should be held simultaneously as one at first, then upon parting, each person should retain one of the stones; or, a cluster may remain at one location while an individual carries a portion of that cluster on his person to connect with the energy of a group or environment. Herkimer crystal is also a valuable asset in its ability to receive and magnify the influence of other stones. It expands a small or soft energy stone, giving it the strength and effects of a much larger stone.